We've only listed a few of the best sellers. Please get in touch with your size and we'll get you the best price possible. At AutoFastFit, we pride ourselves in only keeping the best brands and brands we trust. Auto Fast fit is a family run business established over 40 year ago. We have been stocking and Fitting Camping tyres since then and take pride in only offering the premium quality tyres at discounted prices. We keep various brand options for each product, which will allow you to choose by price or preferred brand. So what are camping tyres? These tyres are designed specifically for use on motorhomes, the main difference is that they have tougher sidewalls. 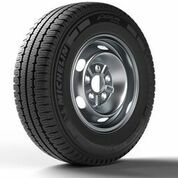 This toughness helps in 2 ways, firstly they are more suitable to run at higher pressures that are required for motorhomes, and secondly the rigidity reduces tyre movement and stops the vehicle from swaying around, particularly whilst cornering. There are also subtle differences in the tread compound which gives the tyres improved grip on wet surfaces and some differences in construction that make the tyre more resistant to abrasions & impacts. WHICH TYRES FITS MY VAN? FIND THE RIGHT VAN TYRES WITH AUTO FAST FIT. Designed specifically for vans and motorhomes, MICHELIN Agilis van tyres are built with extra performance in terms of load capacity and sidewall kerb wear. Your choice of van tyres can lead to reduced fuel consumption due to reduced rolling resistance. If you are the owner of a fleet they could save you many litres of fuel per year.